When EURO was first formed in 1975 it was understood that one of the challenges for the regional grouping was to ensure that news could be communicated among the relevant people. The EURO bulletin was a paper newsletter, originally edited by Jean-Pierre Brans, which announced forthcoming conferences and events and gave general information about the EURO instruments and national society news. This bulletin was adapted over the years and was latterly edited by the Permanent Secretary, Philippe Van Asbroeck, until it was agreed that this format be stopped in 2004. In 2013 the e-newsletter was produced. 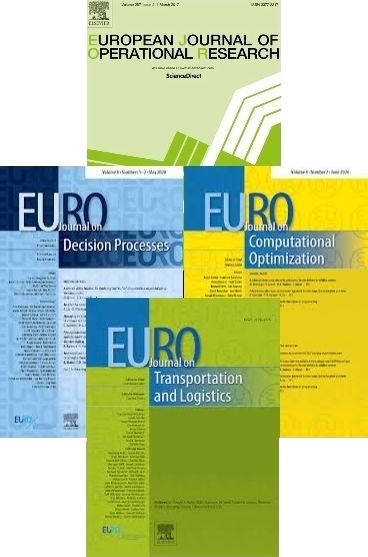 It is now typically distributed monthly to around 22,000 individual users and contains announcements about conferences, special journal issues, prizes and awards, and general information about the EURO instruments. On the home page, the «Hot Topics» section lists the most current news relating to EURO instruments, such as upcoming ESWI meetings and Mini conferences, Working Group events, and EURO awards. The Conference Calendar lists all upcoming relevant meetings; and updates to to Working Group pages by their coordinators. All new announcements regarding e.g., conferences, awards, and publications are available on the EURO Forum.